This building is located on Greek Street, right in the heart of London’s vibrant and diverse Soho. 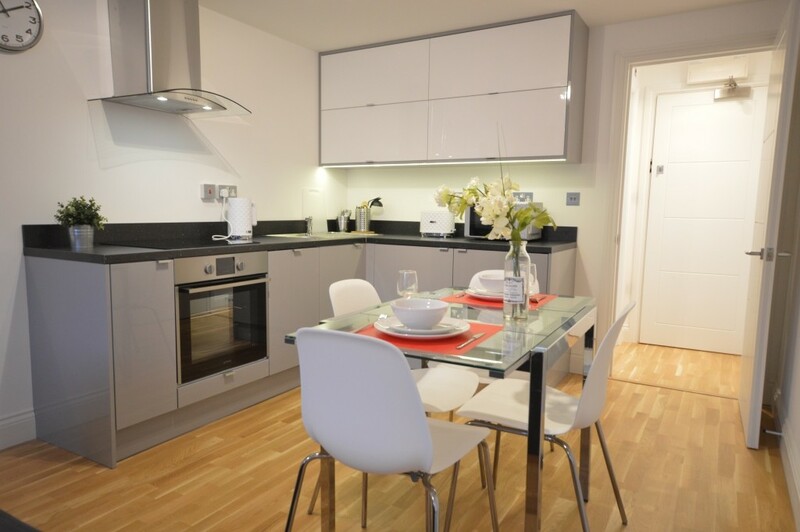 It contains four brand new studio apartments on the third and fourth floors and accessed via an elevator/lift. 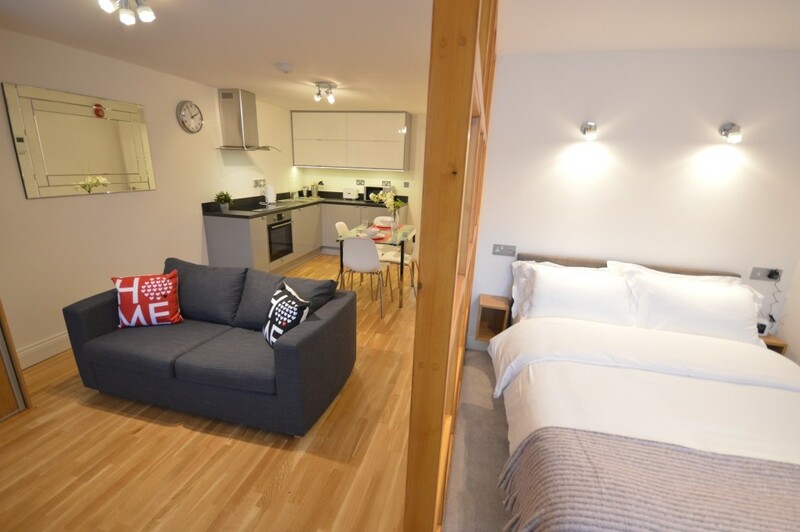 The spacious studios sleep up to 4 people and the living and sleeping areas are slightly separated by a frosted glazed partition. 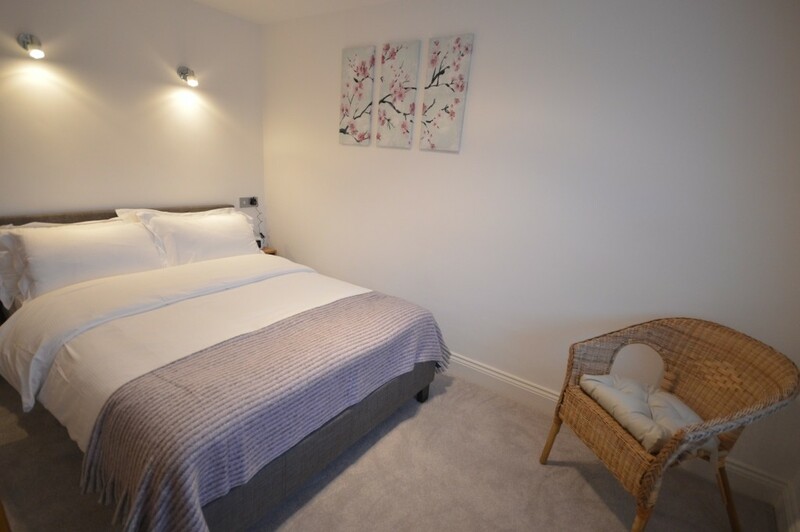 There is a double bed and a comfortable double sofabed. 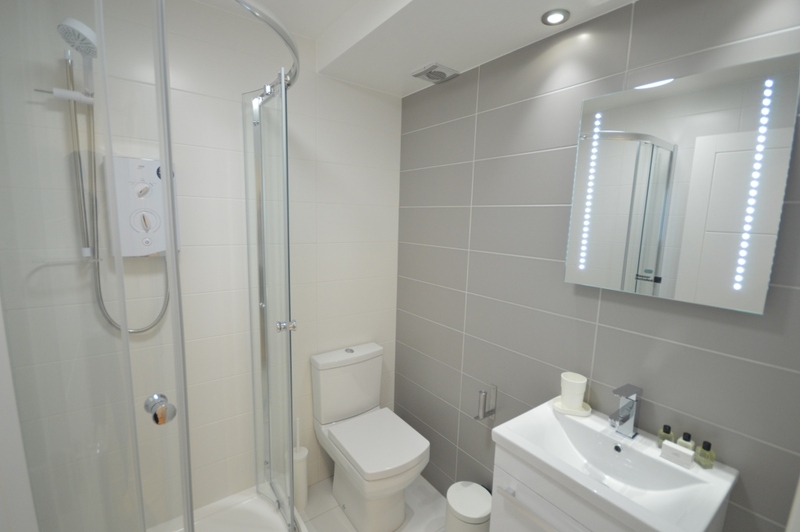 All studios have a modern shower room with basin and WC and fully fitted and equipped kitchen facilities. 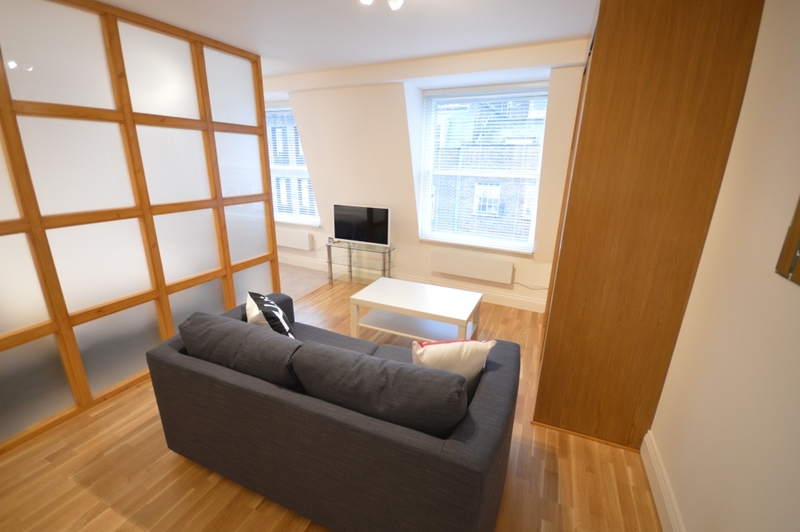 This brand new luxury Studio is on the third floor and accessed by a large lift. 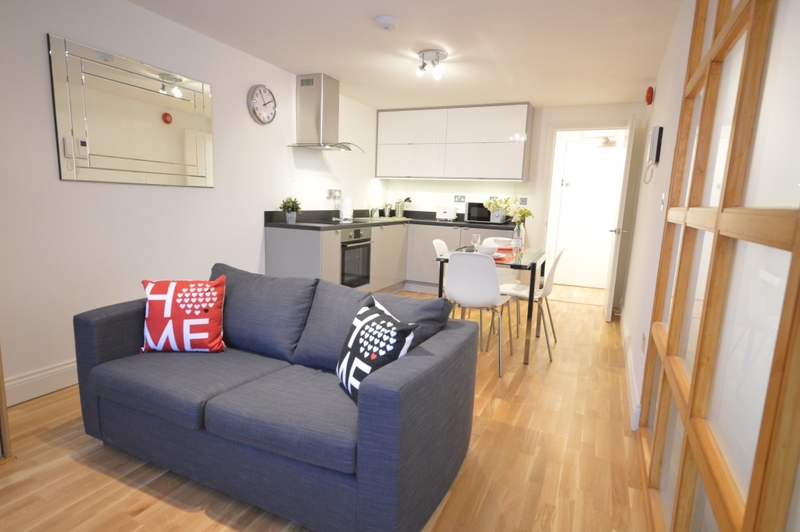 Newly refurbished in modern neutral colours, this studio has one double bed separated by a frosted glass wall from the bright spacious kitchen/lounge area containing a sofabed.